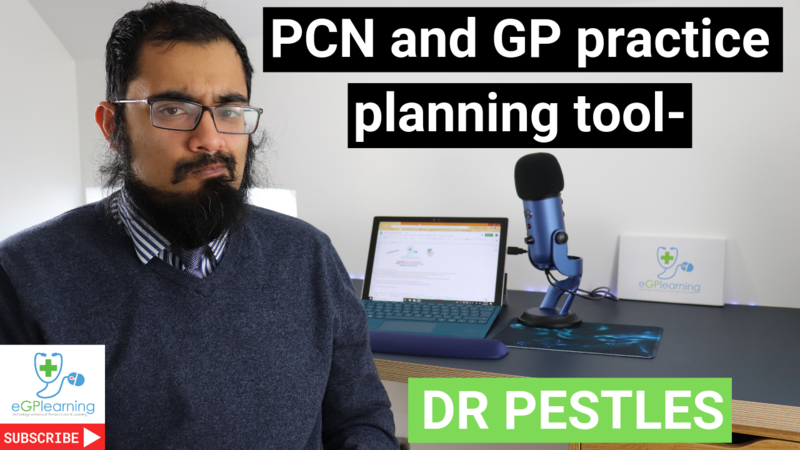 If you want a resource to help you plan your primary care network (PCN) or GP practice then use DR PESTLES. The video below explains the resource and how you can use it to plan local healthcare delivery. Click the image to see it in full. To access spreadsheet use the link here. To access the support document, sign up as an eGPlearner (and get the link sent) or access the GP productivity page on the website. If you are already a member of the list then the password is in the latest edition of eGPlearning Newsblast.